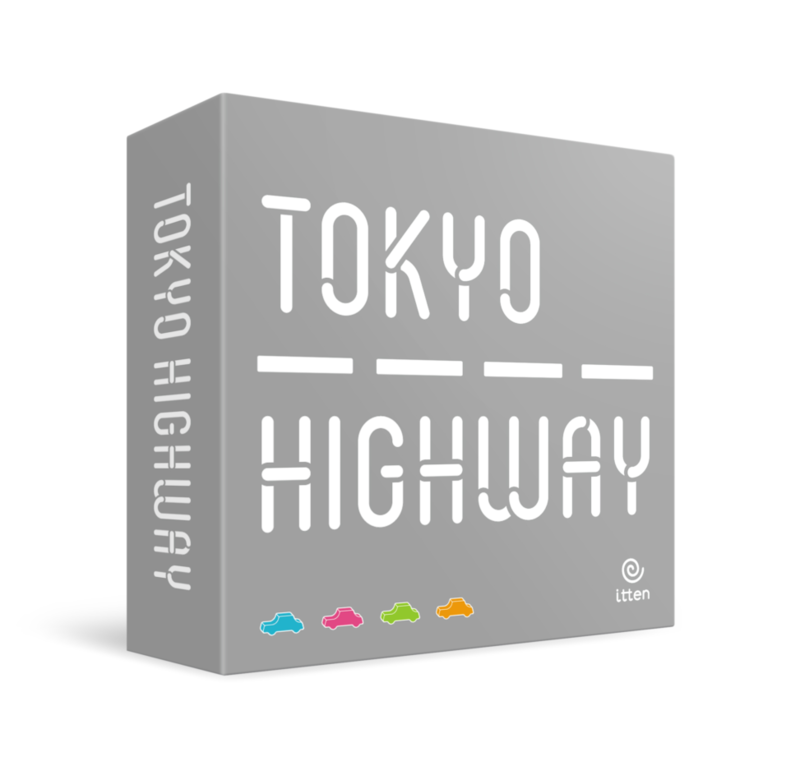 Tokyo Highway 4 player version was released by Asmodee at Essen Spiel 2018 (October 25th—28th). In spring of last year, we published the expansion set, “Hello! 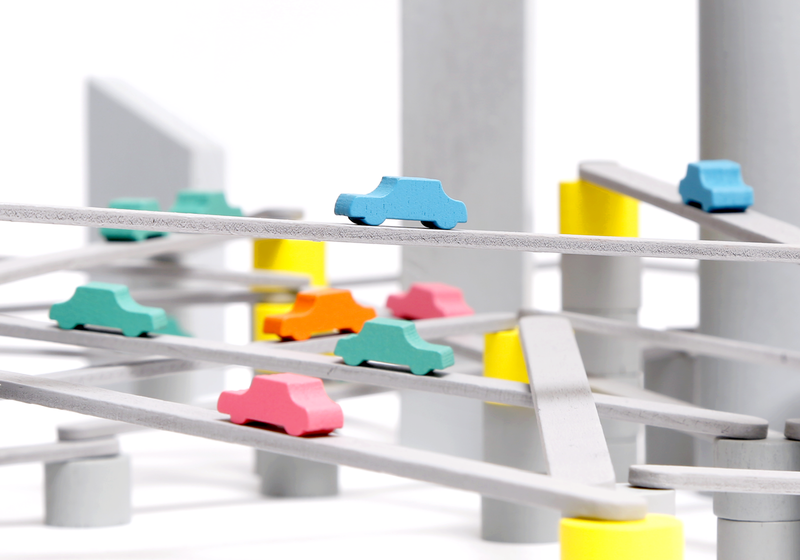 Expansion Package” which contains two extra cars in different colors and four building pieces. 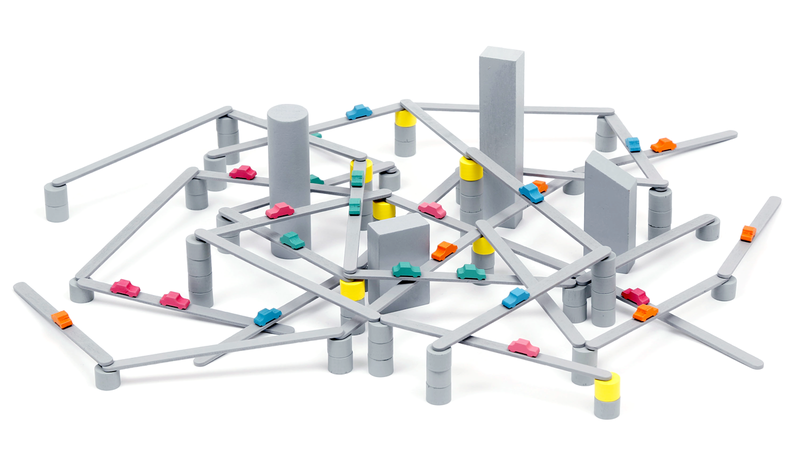 The 4-player version to be published this year includes all the components necessary for 2 to 4 players to play Tokyo Highway. 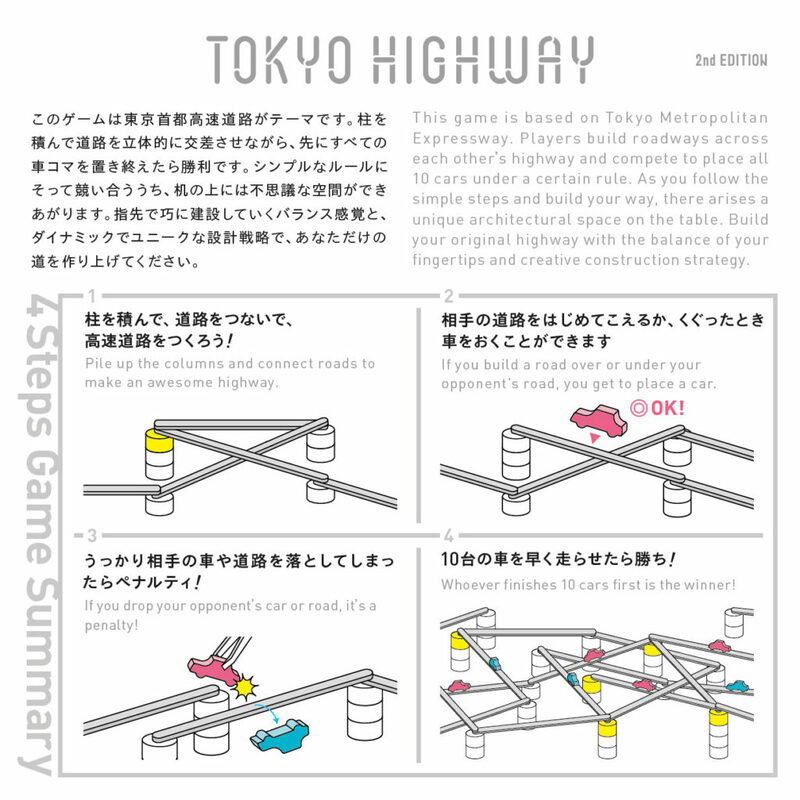 This game is based on Tokyo Metropolitan Expressway known for its distinctive metropolitan structure. The game has no board, no squares. 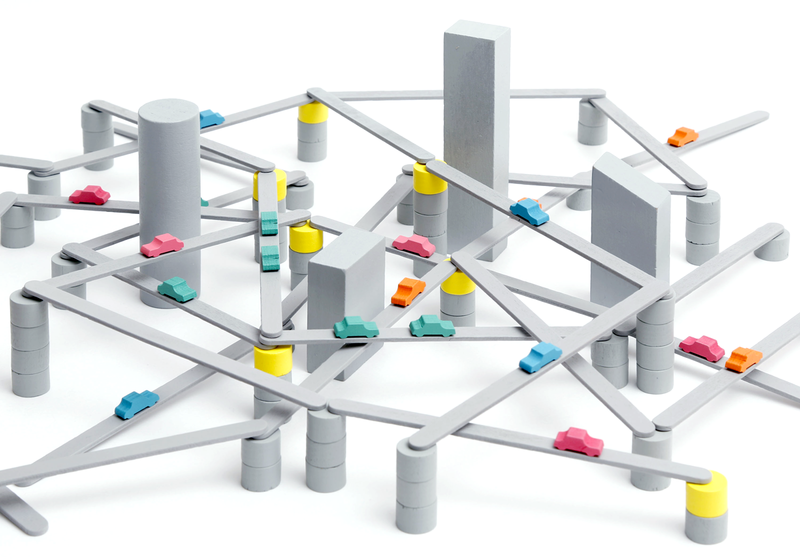 Players build roadways across each other’s highway and compete to place all 10 cars under a certain rule. As you follow the simple steps and build your way, there arises a unique architectural space on the game table. 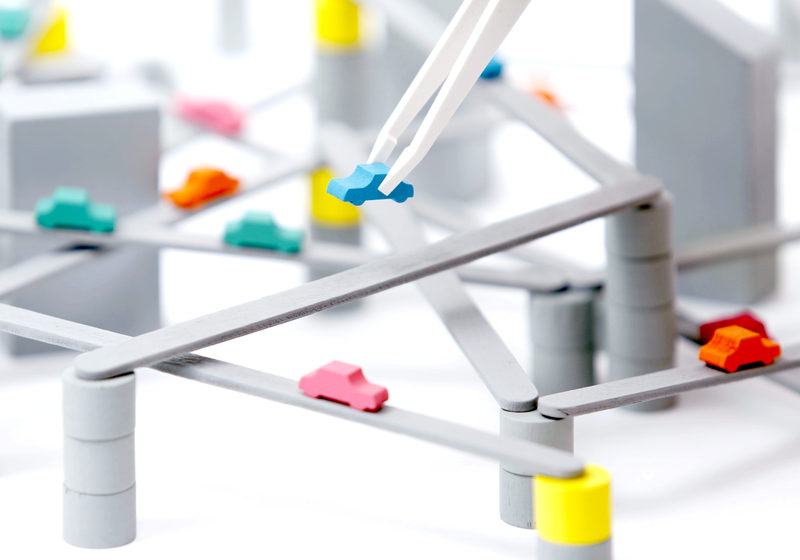 Build your original highway with the balance of your fingertips and creative construction strategy. We provide the rule sheet here for your reference. We’ve prepared the 4 steps summary of the rules. Please use this to grasp the basic flow of the game.